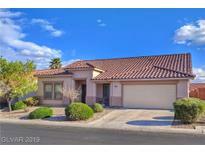 Below you can view all the homes for sale in the Cheyenne Ridge subdivision located in Las Vegas Nevada. Listings in Cheyenne Ridge are updated daily from data we receive from the Las Vegas multiple listing service. To learn more about any of these homes or to receive custom notifications when a new property is listed for sale in Cheyenne Ridge, give us a call at 702-930-8014. Come see this GREAT community with pool, pet park and more. MLS#2090670. BHHS Nevada Properties. Master bedroom has french doors that open to the inviting pool, covered patio, and backyard. Easy access to I-215. MLS#2087451. Realty ONE Group, Inc. Located near parks and schools with easy access to the 215 and US 95! MLS#2087296. Xpand Realty & Property Manage. The association fee includes; water/trash/sewer/recycling/exterior maintenance roof/front landscape/gate/pool & clubhouse. MLS#2085841. Realty ONE Group, Inc.
3 car garage, huge driveway, low HOA. Much more. MLS#2081836. Forever Home Realty. 3704 Connell MLS#2080264. Keller Williams Market Place I.
Trasnferable Home Warranty Good Thru 11/30/19 MLS#2079338. RE/MAX Excellence. House is super clean & move in ready! MLS#2073743. Maxim Properties. Luxurious master bathroom with walk-in bathtub. No HOA! MLS#2076642. Vision Realty Group. UPDATTED FRESHLY PAINTED INTERIOR , NEW tile & carpet, REHABBED bathrooms w/ granite, CUSTOM showers, kitchen has been UPGRADED with FRESHLY PAINTED Cabinets, NEW Quartz, NEW appliances. landscaping has been REVITALIZED. Yes MLS#2075086. Wynn Realty Group. Rolladen shutters on all windows & doors.Spacious backyard features large covered patio w/ceiling fan, sparkling blue pool (new pump in 2017), dog run, & storage cabinets on side of home that will stay.Kitchen has breakfast bar, walk-in pantry, recipe desk & Corian counters.Master suite has his & hers walk in closets, private access to rear yard & double door entry. MLS#2073687. Simply Vegas. 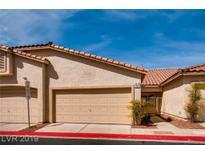 Convenient to freeways, schools, shopping, restaurants, & more! MLS#2074227. American Realty Properties LLC. Large covered patio overlooking easy care back yard. Newer AC and furnace. MLS#2071454. Home Realty Center. Don't miss out on this move in ready home! MLS#2069417. Barrett & Co, Inc. Vaulted ceilings, 2 car garage, Corian counters, breakfast bar, ceiling fans, walk in closet in master. MLS#2061942. Platinum R.E. Professionals. Solar Screen Window Coverings. Move in Ready! MLS#2044433. BHHS Nevada Properties.